The course has been split up into 17 different modules, which I call the 17 ‘ings’ of Self-publishing, is 8 hours in length and is continuously being developed (last updated: 9th November 2017) !!! Once you have watched this course, not only will you know how to write and publish your first book, but you will also have learned how it is possible to make a living, or at least a part-time income, from your writing. What type of books are you going to write? How are you going to go about writing your book? The importance of outlining – Are you a Pantser or a Plotter? What you can do if you can’t afford an editor? An over-the-shoulder walkthrough of how to compile an eBook within Scrivener. 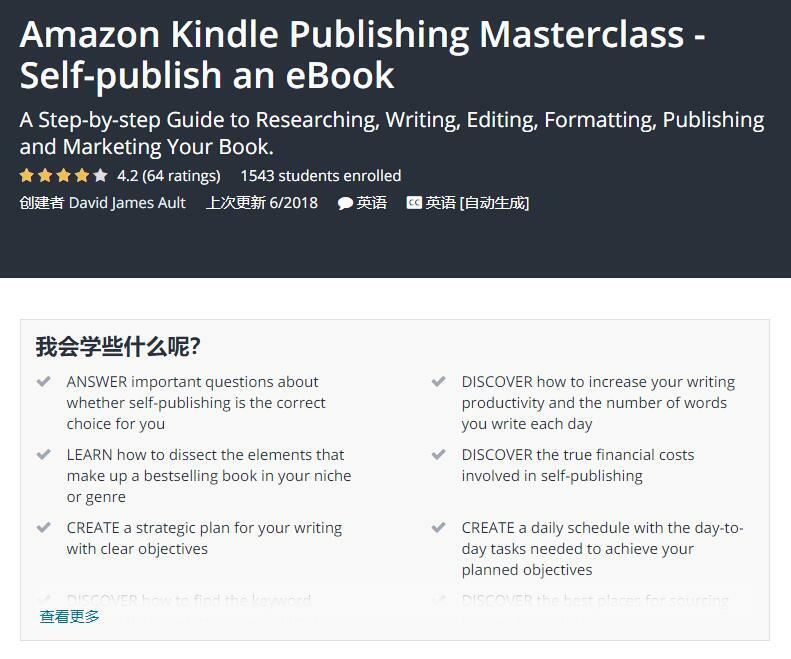 If you are serious about becoming a Self-published author, then the Amazon Kindle Publishing Masterclass is simply a must watch. So enrol in the course today and I look forward to seeing you on the inside.